One or more additional members are expected to join Nokia's Lumia line-up next Tuesday, but today the company has chosen New Delhi as the stage to unveil the Asha 501, a new touchscreen handset that further blurs the line between featurephone and smartphone. While the last touchscreen Asha Nokia launched was very much a tweaked version of its predecessors, the 501 has a radically different design akin to the latest QWERTY device stamped with the Asha brand. The aesthetics aren't all that's changed, however, as the 501 is running a re-engineered OS Nokia's dubbed the "Asha software platform" (the fruits of last year's Smarterphone acquisition). We were able to spend a little quality time with the handset, so head past the break for more details and our initial impressions. The Asha 501 has a 3-inch QVGA screen (320 x 240) covered with hardened glass up front, with an unknown amount of internal storage supplemented by a microSD slot behind the back cover -- a 4GB card is included with every phone, but the slot'll take up to 32GB. You'll find either one or two micro-SIM slots behind the case depending on the model, both hot-swappable (no need to turn the phone off). It doesn't have 3G radios, however, so your only options for pulling data are over 2G and WiFi. Returning to the outside, there's also a 3.2-megapixel fixed-focus shooter (no flash) on the back, but no front-facing camera. Below the display is one physical key, which is merely a sequential back button for retracing your steps through apps. There's no need for menu or home keys thanks to the swipe-based UI features of the new software platform, but more on that later. The device is indeed colorful as Nokia teased, and brings the vibrant palette we're used to seeing from the Finnish phone-maker. It comes dressed in a one-piece suit of either yellow, red, blue, green, white or black plastic, which envelopes the main body of hardware on all sides, much like the Lumia 620. There's one nub of colored plastic forever bound to the body, you use this as leverage to pry the case off. This obviously doesn't change when swapping covers, but Nokia says the spectrum of colors compliment each other so that nub won't look ugly when paired with a different overlay. Incidentally, the handset's loudspeaker is built around that permanent oblong of plastic, channeling sound through the gap between it and the main case -- a decision Nokia took to make the outer design as clean as possible. A volume rocker and power button of matching hue are neatly integrated into the right edge of the cover, which is otherwise bare aside from a tiny charger socket, micro-USB port and headphone jack spread across the top. It's a cute little thing that's completely dwarfed by the behemoth proportions of modern smartphones with much larger screens, measuring 99.2 x 58 x 12.1mm (3.9 x 2.3 x 0.5 inch) and weighing just 98g (3.5 ounces). It's no surprise, then, that even the smallest hands will find it easy to hold and manipulate. Despite the boxy design and sharp angles, the 501 has comfortable curves in all the right places. It's also got that sturdy build quality Nokia is famous for -- we didn't go as far as to drop test it or anything, but it'll likely take a punch or two to the chin without complaint. We can see it being popular in emerging markets, as the bright colors and form factor that bring it more in line with the Lumia range make for quite a desirable package. All Ashas in recent memory have used Series 40 as their OS, and although the 501's app home screen may look similar, we're actually seeing a new Asha platform make its debut. Its influence is noticeable as soon as you pick up the handset, thanks to the low-power display feature which permanently shows the clock and any notifications. Nokia used the term "glanceable," meaning you needn't fully wake the phone to check out key tidbits. Apparently, even with this always-on screen mode, a single charge of the battery will last up to 48 days on standby, or 26 days with two SIMs -- talk time is listed as up to 17 hours. Double-tapping the display, or hitting the power button, will wake the phone into the proper lock screen. From here, you can swipe at notifications, like a text message, to jump right into it, or control the music player without having to enter the app directly. 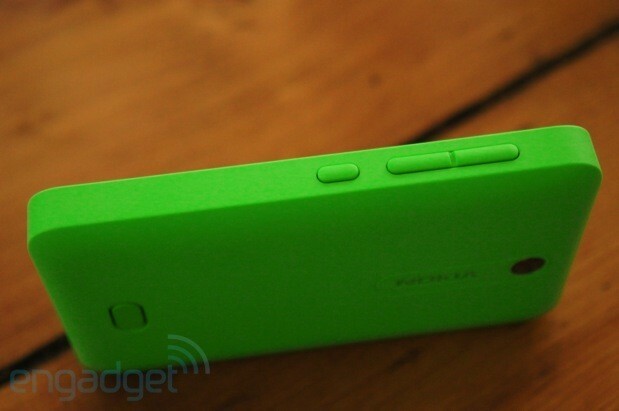 Nokia's also looking to bring similar features to its Windows Phone 8 line with the GDR2 update, still in development. One of Nokia's goals for the software platform was to limit the number of steps it takes to do, well, whatever you want to do. With only one physical button, this is achieved by a number of gestures. There are effectively two home screens: the standard app grid, called Home, and a new list-like view of recent activity called Fastlane. The Fastlane keeps tracks of everything you've done recently, so you can start playing a song from within the log, or launch an app, load up a text conversation, etc., by locating it in the list and giving it a prod. Just above the log is a little bar which reads "What's on your mind?," and hitting it will boot a text entry box from which you can post status updates to Facebook, or tweet without going into their dedicated apps. Finally, to complete the "past, present and future" tagline Nokia uses to describe it, swiping down in Fastlane will reveal upcoming events in your calendar. Now, when you're actually in an app, you can swipe inwards from the bezel to get back to the home screen. There's a remarkably slick fading effect that happens as you do this -- one of the little details that elevates the Asha platform above the aesthetically similar operating systems that came before it. Swiping up from the bottom bezel gives you access to app menus, and dragging down from the top of the screen opens up a quick-settings and notifications list, like on Android devices. During our brief encounter with the phone, everything ran pretty smoothly -- it didn't stutter or hang while cycling through the app menus and testing out these new swipe commands. The OS might be fresh, but Nokia is hard at work filling the app catalogue. As it's reliant on Java-based apps, porting them over from other platforms like Series 40 is a simple process. There will be exclusives, however, and we're told an SDK and APIs will be available to developers fairly soon. A selection of apps come pre-installed -- Facebook and Twitter, for example -- and within a few months, Nokia expects to have 90 percent of high-profile Series 40 apps ported across, such as WhatsApp, LINE and Nokia's Here navigation services. The EA partnership stands strong also, allowing Asha 501 buyers to download up to 40 free games within the first 60 days of ownership. Nokia's Slam proximity-based sharing feature has made it onto the Asha platform, as has the data-saving Xpress cloud-compression browser. The latter now has a revamped start page with a curated selection of links to popular corners of the internet, as well as a feature called Xpress Now. Available in India initially but expanding to other countries, Now aggregates trending stories based on national traffic. You can check out a headline and brief summary of the news, and hit a button underneath to load up the full site in the browser, if you wish. As the location of the launch party indicates, the handset is headed to India first, and worldwide, excluding North America, before the end of Q2. Nokia aren't planning to bring the Asha 501 to the US, but overseas, suggested pricing just limbos the Benjamin barrier at $99 or 75 euros excluding local taxes and subsidies. The 501 won't be the only temple worshipping the new Asha platform either, and Nokia says it's just the start, with more to come, including 3G-equipped phones, in the future. Espoo, Finland – 9 May 2013 – Nokia today unveiled the first of a new family of Asha smartphones with the introduction of the Nokia Asha 501. The handset pushes the boundaries of affordable smartphone design with bold color, a high-quality build and an innovative user interface. The Nokia Asha 501 is the first device to run on the new Asha platform, which is designed to make the experience faster and more responsive. The Asha platform also helps developers to create, publish and make more money from apps made specifically for the new generation of Asha devices. The Nokia Asha 501 makes high-end design and quality accessible to more people. The device is available in a choice of six striking colours that complement the elegant design. It comes in just two parts: a durable, removable casing and the scratch-resistant glass display, which features a three-inch, capacitive touchscreen and a single 'back' button. The compact new Asha weighs only 98 grams, for the ultimate portability. The Nokia Asha 501 is built to make it easier for people to access everything they love, with a simple swipe and a choice of two main screens: Home and Fastlane. Home is a traditional, icon-based view for launching individual apps or accessing a specific feature, like the dialler or phone settings. The new Fastlane view was inspired by how people really use their phone. Recently accessed contacts, social networks and apps, unique to each person, are stored and presented in Fastlane. It provides a record of how the phone is used, giving people a glimpse of their past, present and future activity, and helping them multi-task by providing easy access to their favorite features. The new Asha comes with Nokia Xpress Browser pre-loaded, which compresses Internet data by up to 90%. This is aimed at making mobile browsing faster and more affordable. Nokia also announced the availability of Nokia Xpress Now, a new Web application that recommends content based on location, preferences and trending topics. It will be available via the Browser homepage or as a download from Nokia Store. "Nokia has surpassed expectations of what's achievable in the sub-100 USD phone category with a new Asha handset that is unlike any other, with design cues from Lumia and a mix of features, services and affordability that is valued by price-conscious buyers," said Neil Mawston, executive director, Global Wireless Practice, Strategy Analytics. "This is a welcome addition to the market and a refreshing option for consumers looking to upgrade from feature phones." The new Nokia Asha 501 was purpose-built to give people the best possible mobile experiences at an affordable price. It is highly efficient, with an industry-leading standby time of up to 48 days*. The Nokia Asha 501 is the first smartphone built on the new Asha platform, which leverages Nokia's investments in Smarterphone, a company which Nokia acquired in 2012. The new Asha platform provides developers with an open, standards-based environment for creating quality apps for consumers. 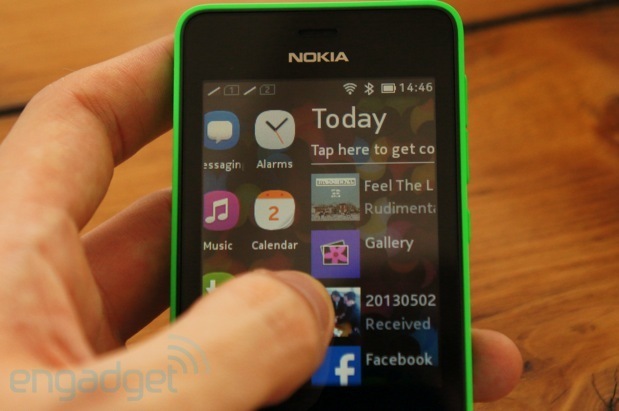 Developers can create apps for the Nokia Asha 501 that will be compatible with future Asha platform-based devices. Nokia gives developers the chance to make more money through the global reach of Nokia Store and tools like Nokia In-App Payment and Nokia Advertising Exchange (NAX), as well as Nokia's unparalleled operator billing network. Many of the most popular applications are already available or in development for the Nokia Asha platform, including CNN, eBuddy, ESPN, Facebook, Foursquare, Line, LinkedIn, Nimbuzz, Pictelligent, The Weather Channel, Twitter, WeChat, World of Red Bull and games from Electronic Arts, Gameloft, Indiagames, Namco Bandai and Reliance Games. WhatsApp and other key partners continue to explore new Asha. The HERE experience, based on Nokia's leading location-based platform, will also be available as a download for the Nokia Asha 501, starting in Q3 2013 and will initially include basic mapping services. "The new Nokia Asha 501 raises the bar for what is possible in affordable smartphone design and optimization," said Timo Toikkanen, executive vice president, Mobile Phones, Nokia. "The synergy between the physical design and the engine that is the new Asha platform has created a smartphone with both style and substance at a great price." 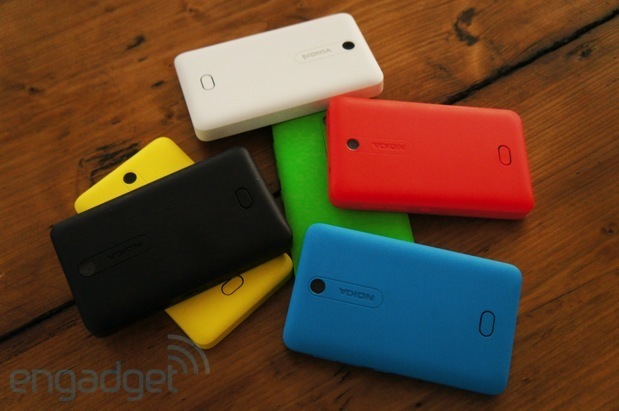 The Nokia Asha 501 is expected to start shipping in June 2013. It is expected to be available through approximately 60 operators and distributors in more than 90 countries worldwide. "We are very happy to offer the new Nokia Asha 501 through our subsidiaries in the continent. We are certain that this innovative device will follow the successful footprint of the Nokia Asha family, combining affordability with the best communication and Internet browsing capabilities," said Marco Quatorze, director, Value Added Services, America Movil. A leading operator in the Asia-Pacific region, Telkomsel is also supporting the arrival of the new Nokia Asha. "The Nokia Asha 501 will help us to boost the mobile Internet in Indonesia. It is powered by innovations like the Nokia Xpress Browser, based on a very efficient data compression technology which allows us to offer the best data plan tariff for people," said Alistair Johnston, chief marketing officer, Telkomsel. "We have a billing agreement with Nokia that supports the creation of local applications that are absolutely relevant to Indonesian consumers." The popularity of the Nokia Asha family has also prompted innovative approaches to bundled mobile services. Nokia, Facebook and mobile network operator Airtel announced they have joined forces to offer data-free access to the standalone Facebook app, as well as the mobile site m.facebook.com. By the end of the second quarter, current Airtel subscribers in Africa and India** will be able to enjoy unlimited, data-free access to Facebook from their Nokia Asha 501 for a limited period of time. Commenting on the partnership, Andre Beyers, chief marketing officer of Airtel Africa said: "The collaboration with Nokia is in line with our strategy of enabling people to access data in Africa as we seek to bridge the digital divide across the continent. We're already witnessing tremendous growth in data use across the 17 countries where we operate. The provision of free Facebook access is an excellent proposition to the millions of Airtel consumers. We are extremely delighted to partner with Nokia to give our consumers an even better mobile experience." Telkomsel will provide a specific Nokia Telkomsel Asha data plan that offers up to 500 MB of data use and includes 60 minutes of calls and 60 SMS. The company will also provide a one month free data plan to consumers using Nokia Asha 501 that can be used for all mobile Internet activities, including access to Facebook or downloading apps. "This bundle is a great way to discover Facebook on your Nokia Asha device and enjoy the experience for longer without worrying about data charges," said Vaughan Smith, VP, Mobile Partnerships, Facebook. "Working in close partnership with Nokia and global operators made this offer possible and we are excited to help connect the world on Facebook." MTN, a leading operator across Africa, said it will also offer the Nokia Asha 501 and ease access to Facebook. "We are excited to support this initiative with Facebook in Nigeria and Zambia, and we are looking forward to expanding it to other markets," says Pieter Verkade, group chief commercial officer, MTN. • Suggested pricing is 99 USD before taxes and subsidies.